Second Lieutenant Jean Havoc likes to smoke, and is almost always pictured with a cigarette in his mouth. 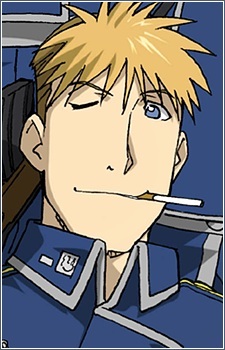 He is a fair shot with a gun, and one of Roy Mustang's loyal followers; he gives Edward a stern talking-to when Ed bad-mouths Mustang for only caring about promotions. Havoc is a strict man of duty, a very by-the-book soldier, even if he doesn't always agree with the orders.